Recycling Works: Are Recyclables Picked Up With Our Trash Truck? Some competitors use the system of a Transfer Station where recycling and trash are collected together in the same containers and trucks, compressed by an on-board compactor in the truck, dumped out onto a transfer station floor, and sorted through in an effort to salvage any recycling that may have gotten through without contamination. This form of recycling tends to have a far smaller recovery rate. 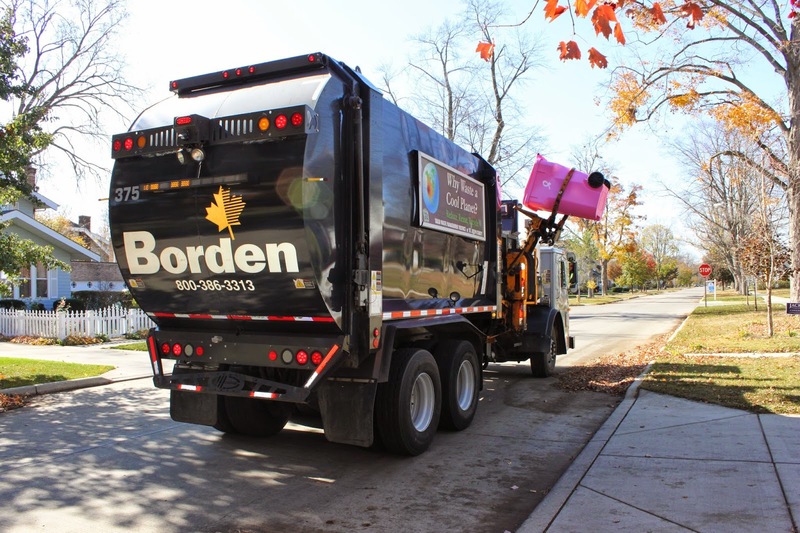 With Borden Waste-Away's Single Stream recycling process, all recycling is picked up with completely separate trucks than those that service trash. The trucks do, essentially, look identical but are dedicated to only picking up one specific type of material (i.e. trash OR recycling...never both).